The yard on the main line consists of 6 stubs that will hold 4 cars each. There is also a receiving/makeup track, an engine yard and a RIP track (out of view). 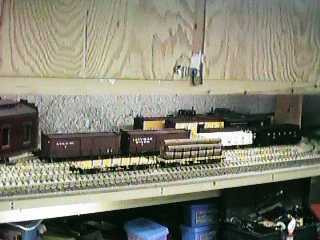 The turnouts in this yard are controlled by a route control system that routes power to the active track as well.